Imran is a boy growing up in present-day Pakistan. His family is one amongst many in Mohajir Colony: his sisters work as maids, his father runs a motorcycle repair shop and his mother stays at home. Things change when there is a new visitor in the house emerging from the dust of the railroad graveyard as much a disease, a jinn, a drug, as a spiritual voice. The order of things is broken and everyone around Imran is hurled onto a trajectory of thought and action. The novel rests on the frail shoulders of ordinary people. Imran s eyes portray an unreal take on his society and the myriad people brushing past him. It is a living/breathing/kicking palette of Pakistan a kaleidoscope with all the different characters serving as mirrors in the maze. Beneath the layers, a new subconscious state is revealed, which plays with real and imagined love, the experience of growing up in Pakistan and the detrimental, often absurd, ideals that form the basis of fundamentalism. 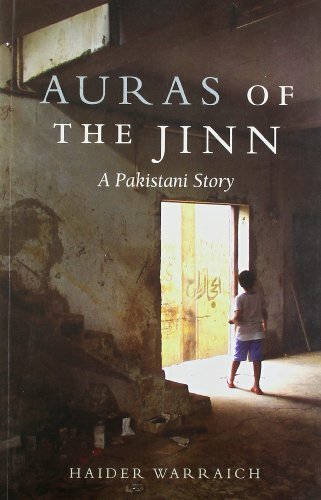 Haider Warraich was a medical student at the Aga Khan University, Karachi, when he wrote this book the first of many of his unpublished works of fiction. A regular political and literary contributor to various English newspapers in Pakistan such as Dawn and The News, he has also been published in several international medical journals and is currently a Research Fellow at Harvard Medical School. Warraich is also an avid photographer and public speaker, and writes poetry on the side.